- Valinnainen: vuodevaatteet / pyyhkeet. It was everything we could have hoped for. Beautiful apartment well furnished not like a holidy flat but like a real home and within a few days it felt like home too. It was so well equipped too except for the coffeemachine that made cold coffee and no small coffee cups. But we loved it and didnt want to leave. The marble floors were so easy to clean. 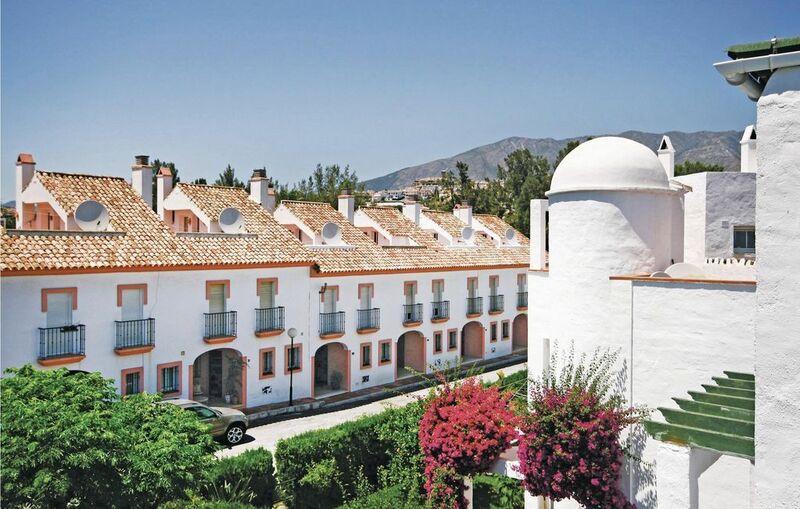 It was so handy for all the coastal resorts like Marbella, Benalmadina, especially the pueblo that we loved and also for Mijas pueblo< another favourite of ours, Alhaurin el Grande and Coin, The scenery is spectacular. We spent most of our time going up and down that beautiful mountain road. Real Spain and so beautiful. The complex was a bit run down but it was being painted while we were there. It has a lovely swimming pool area, which we never found time to use, and beautiful tropical gardens with a pond with 2 turtles who surface onto a rock to bask in the sun. However, you do need a car as there are no buses going up that road and you could not get around. Also they charge 60 euros for cleaning the property. . we opened the door to a dirty stinking flat. We had to dump our bags, open all the windows and rush out to the nearest supermarket to buy bleach and cleaning materials and give it a thorough clean. The cleaning staff should be fired. It got uite cold at night there and the bedclothes were not adequate, howeverwe found a bedmat in a drawermeant for the spare bed but it had bloodstains on itand we had to give ita scrub beforeputting it on thebed. But it is a beautiful apartment and you have a fabulous view from every single window.